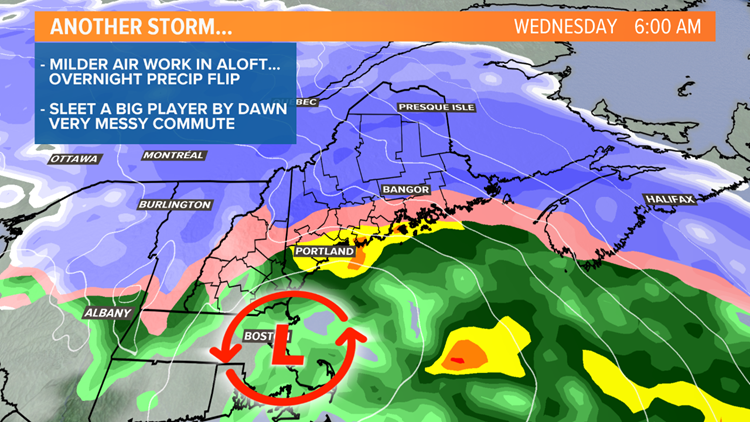 Another midweek storm rolls in this evening with heavy snow that will change to a messy mix by tomorrow morning. The atmosphere has muscle memory and it's clearly on display this Winter. 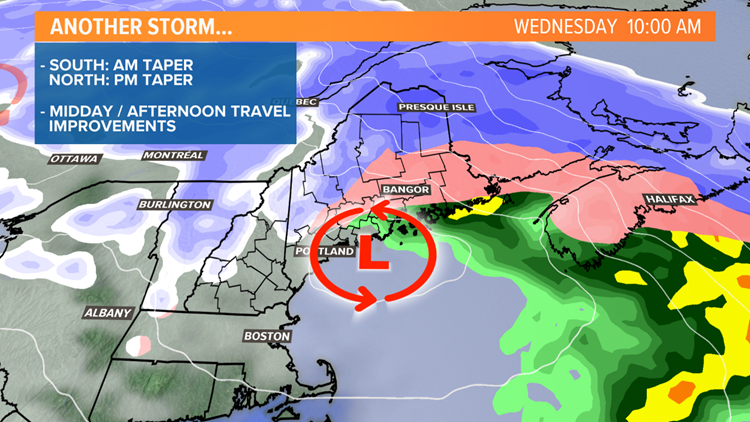 Getting a pure snowstorm has been nearly impossible and while we'll see quite a bit of snow with our next storm, mixing will play a big role too. It's a pretty set-up. 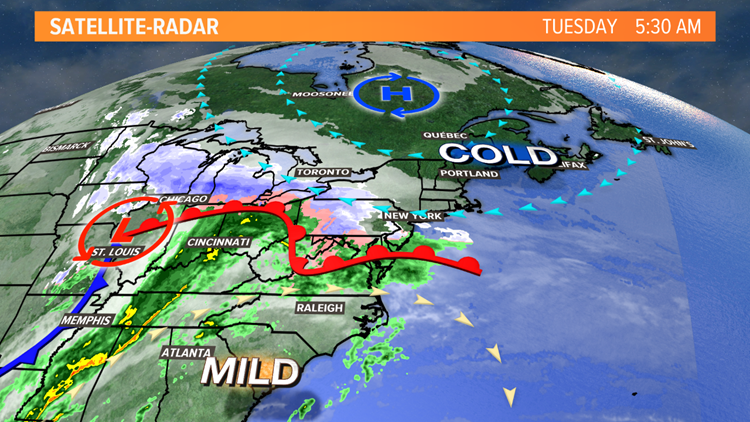 A cold dome of high pressure to our north, a juicy storm to our west with coastal redevelopment. The two features will battle it out right over New England for the next 24 hours. The cold air will be deep at the onset so everyone starts off as snow, and at times it will be heavy. 1" per hour for about 6 hours should drop a solid 6" across the area before any mixing starts to work in. The cold will be tough to move, but during the overnight a warm wedge of air aloft will punch through. Sleet will begin mixing in and become a big player by morning. 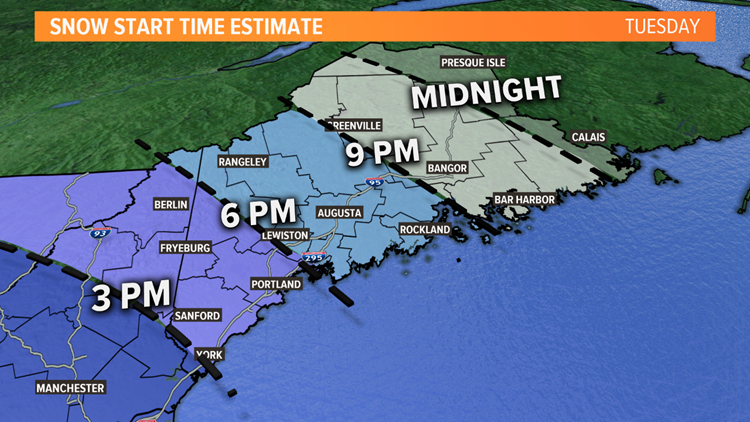 The sleet line will make it all the way up to Lewiston, Augusta and Bangor early tomorrow morning. 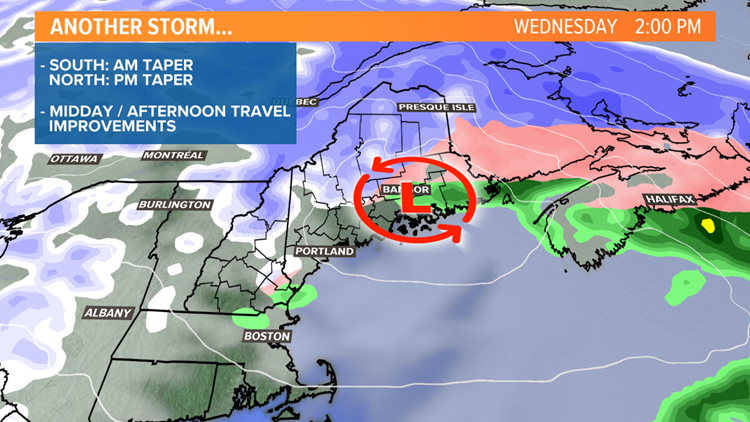 There may even be a little freezing rain along the coast too. 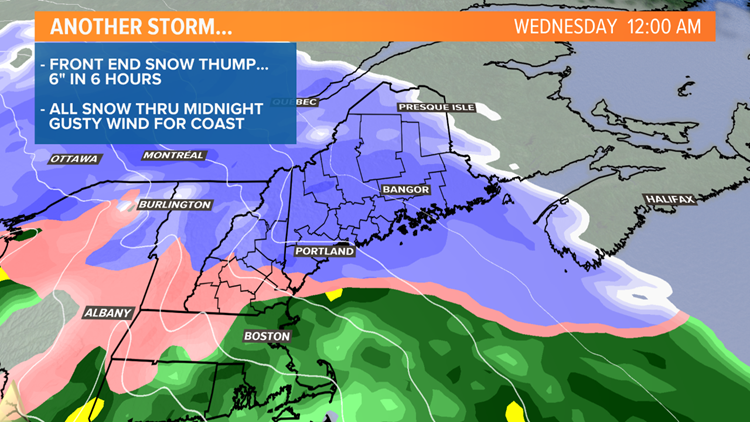 We'll have a layered cake out there of snow, sleet and possibly an icy glaze...it's going to be a mess. The storm will be slow to depart, but tapering will occur later in the morning for southern areas and in the afternoon for northern ones. Road conditions will improve too. Snow and sleet amounts haven't changed much since Cory put this map out over the weekend. 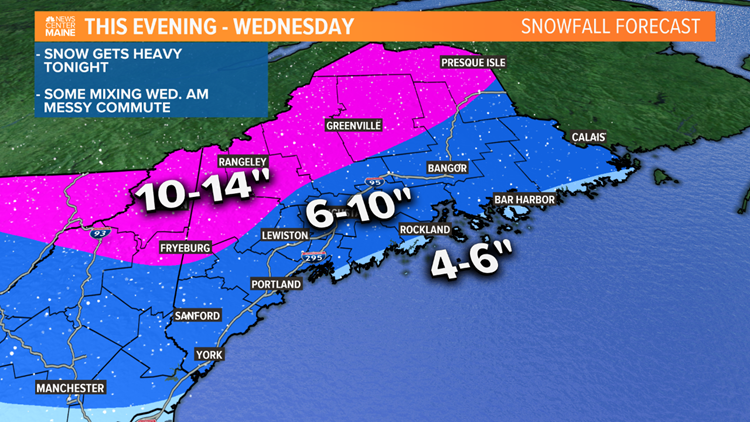 Most areas will see 6-10".